Complementary Therapies, work alongside conventional therapies and are not intended to replace these but can greatly assist in your healing and recovery. The most beneficial treatments that I offer in the North Shore area are: Deep Tissue Massage; Remedial, Therapeutic and Relaxation Massage; Reflexology and Indian Head Massage. If you are experiencing conditions such as muscular aches and pains; old injuries and postural problems then I would suggest a Deep Tissue Massage.Deep Tissue really gets deep into the muscles and can have astounding results. It is so much more than just working "hard"! An experienced therapist will work with the tissue not just on the tissue, feeling for areas of tension and working on these areas with a controlled depth so very little pain or discomfort is experienced. After a couple of minutes the body responds by relaxing which enables the therapist to work even deeper without causing any pain or discomfort. Many techniques are used and each session is tailored to suit the clients needs with the intention of releasing tension, reducing pain and improving range of motion. 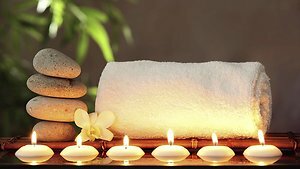 If you need some deep relaxation and also want something deeper than a relaxation massage, then I would suggest a Therapeutic Massage, which can also get deep into the muscles but follows more of a routine which is highly relaxing promoting a sense of wellbeing as well as releasing aches and pains. Therapeutic Massage is usually done over the entire body or a Back, Shoulder and Neck, whereas Deep Tissue often targets problem areas and sometimes includes some remedial techniques to further assist the recovery of muscles. In addition to the above-mentioned therapies, I also offer Indian Head Massage and Reflexology. Both of these are highly relaxing and can be combined with a massage to have the ultimate in relaxation! NEXT INDIAN HEAD MASSAGE COURSE IS ON SATURDAY 1ST JUNE 2019. This course is suitable for anyone who has an interest in learning some easy techniques! NEXT DEEP TISSUE MASSAGE COURSE (Auckland) - Saturday 11th May 2019. For further information on all of the above therapies click on the appropriate page name on the left. 24 hours notice required for cancellations. No shows or late cancellations will incur a fee.